Since commencing her apprenticeship in 2014, Katrina has been engaging with the community to promote women in trades. The community and local businesses have supported Geelong Women in Trades (GWIT) in fundraising efforts for the Cambodia Skills Exchange which saw Katrina assisting with planning a trip to Cambodia and joining the Volunteer Building Cambodia team to build a house for a less fortunate rural family. Katrina has received a recognition award from GWIT for Effort and Consistency. Katrina also assisted in the launch of Tradeswomen Australia at the National Training Awards in November 2017. She is a volunteer helper for the Tradeswomen Australia’s Cubby House Building Competition which was a joint venture between TWA, WorldSkills and the Department of Education and Training. 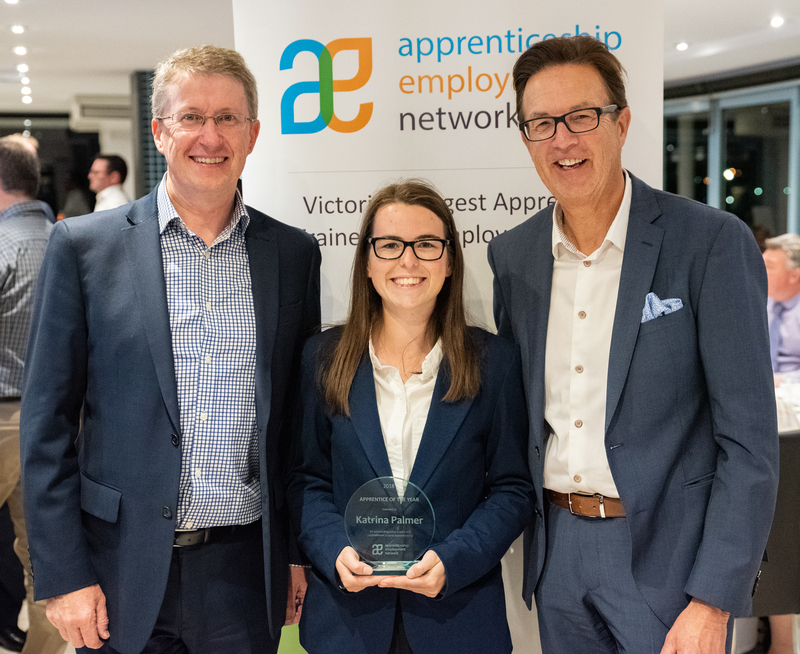 To date, Katrina has been nominated and winner of many awards including RMIT Best 1st Year Electrical Apprentice, RMIT Best 2nd Year Electrical Apprentice and, AEN Apprentice of the Year 2018. Her nomination from The Gordon TAFE to compete in WorldSkills, where she was both a Regional and National Level competitor is a testament to her and the commitment and enthusiasm she has shown in her apprenticeship. Katrina engages with the community to promote women in trades by presenting at local schools as an advocate for her host employer and also apprenticeships in general. Katrina believes that being part of Geelong Women in Trades is helping her to lead the way for other young women interested in pursuing any trade, especially those with skill shortages.